Work for Smartsheet for Gmail Add-On for G Suite? Learning about Smartsheet for Gmail Add-On for G Suite? "Review of Smartsheet by google"
I like that everything is in one place and easy to use. You can keep important emails and information all in one place so that it is easy to access and share. I haven't found a feature I dislike yet expect for the price. I think there are plenty of comparable free options. It was a little difficult to get the plugin installed and working properly, but once I did it was easy to use. I would highly recommend trying it, there is a month long trial that really lets you see everything you can do with the product. It has helped me get organized and stay organized. Keeping all of my business information in one place - being able to see everything I am working on at a glance. Before using this, I felt really unorganized and kept forgetting important tasks that needed to be sent to clients. "Review on Smartsheet for Gmail Add-On "
It's amazing. Simple, convenient and easy to use. Very easy to share with management and coworkers. It's great that others can edit the file & include their thoughts and notes. A good way to share information or important sheets to everyone, especially reports. So far, there is nothing I dislike about this feature. It's a great tool and very useful. Great Tool! Convenient, simple and easy to use. We use it to connect with management team & coworkers, share important files or reports, manage projects and sales. It's very easy and simple to use. Very convenient. Definitely a great tool for businesses. "Best Sheet Management App for Gmail"
Smartsheet has many features comparing to Google sheets & Microsoft Excel. 7. Mails converted as Tickets & can be handled and taken care. Bit advanced its, to understand it can take time, once you Expert its very easy to handle. Made easy to handle our day to day task, less papers are used for approval purposes. "Excellent addon for project management automation." The automated process of attaching or adding content from an email directly to your smartsheet is the best thing that's happened to facilitate project management. Sometimes, the tool doesn't show up immediately in my Gmail, so I have to restart my browser or clear my cache to help it re-appear. If you're already using Smartsheet and your corporate email server is the G Suite, this is a no-brainer, and you should definitely include this as part of the multiple integrations that google offers to its users. Project Management for multiple clients. "Looks like excel but it is not really an excel"
The fact that it is easily customizable and can be synced with gmail pretty fast. Also the ability to sync with google calendar is a great ad on. The fact that it is not very handy as excel. Some of the features that excel has allows you to quickly analyse and sort huge chunk of data. This is missing I feel. I would recommend this to users who have little knowledge of excel. If you work on excel, i think you should probably stick to it. We use it for creating sharable smart sheets. These can be edited by multiple people at time and thus keeps communication fast and live. We share it on google drive. Helps us to close more deals. "Great Project Management Tool for G Suite"
Great user interface. Easy to organize projects and share w/ co-workers. Setup process is a breeze. Our organization saw terrific adoption across all stakeholders. The mobile application is not as intuitive as the desktop. Their roadmap has been improving though. Consider adding better collaboration functionality for docs. Where everyone shared to that doc can just write an idea in it. Project management of new customer service implementations. It's a tool for collaboration across different departments. "Great for project management and data collection"
Collecting data from numerous sources becomes easy when using this application. In the past I have had to content analyze data stored in multiple emails. This tool made it easy to copy and paste into a database that is easy to manage. I don't always have access to my laptop and sometimes try to access this application on my phone. However, the interface is not always user-friendly. This is big time saver compared to several other tools in the market. I have predominantly used this tool for research purposes. Compared to using other tools like Excel or Numbers, this tool makes it simple to copy data from emails. The Gantt view is a nice touch that allows us to see a calendar layout, however the UI is still very hard to manage. The ability to edit plans (add rows, edit columns) is very difficult. The view of the plan is also very limited. You cant see the whole plan. It is also a very manual process to mark things as complete. Smartsheets is a really useful tool for business, all the widely know Google tools are also available for business. Some compatibility problems with Microsoft office. Very easy to share any file with anyone in the organization. "Great tool to add to your Google account "
I love that it’s user friendly like most G Suite apps, that is has tasks and allows for collaboration! I also love that it can be used with all other Google Apps! I thought at times it looks very “busy” in terms of layout but other then that, it’s great for organization and management. Scheduling with teams, meeting information, tasks on to-do lists. I like how convenient it is to access Smartsheet. I currently cannot think of anything that I do not like about this product. "Review for Smartsheet on Gmail"
User friendly, and can easily share projects and data. The new update, the old one was easier to navigate. Collaboration and sharing in a timely manner. * We monitor all Smartsheet for Gmail Add-On for G Suite reviews to prevent fraudulent reviews and keep review quality high. We do not post reviews by company employees or direct competitors. Validated reviews require the user to submit a screenshot of the product containing their user ID, in order to verify a user is an actual user of the product. Hi there! 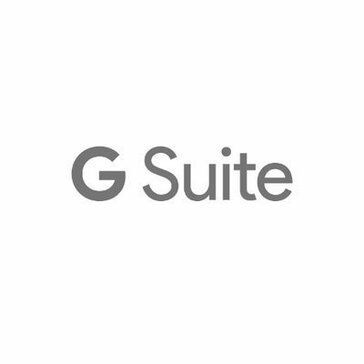 Are you looking to implement a solution like Smartsheet for Gmail Add-On for G Suite?